If you can't see the auto-created WazzapMigrator folder put everything in the Download folder or just restart your phone. 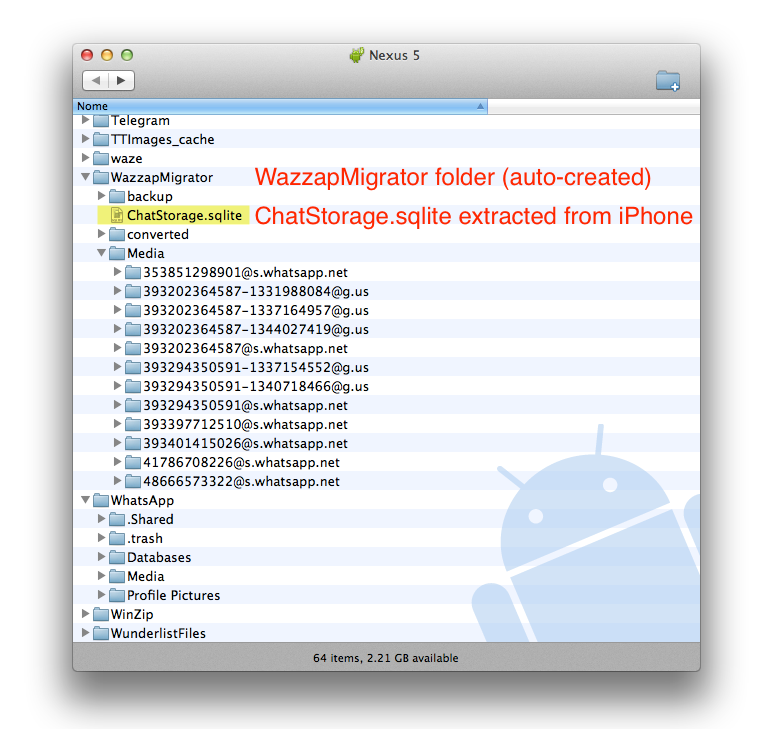 After extracting (Windows, Mac) your iPhone's WhatsApp archive (ChatStorage.sqlite) you need to move it to your new Android device. You need to put it inside the Download or WazzapMigrator folder, like below. 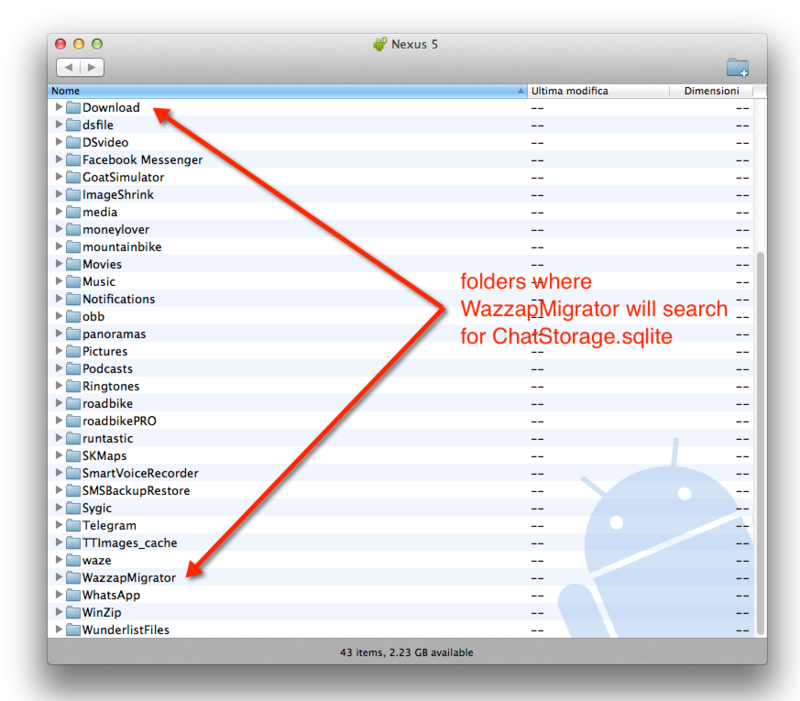 Please note that WazzapMigrator will search it in other folders too, like Downloads folder.